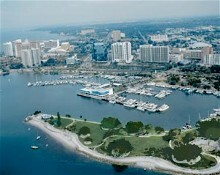 Sarasota Florida is a great place to reinvent your life. The warm climate, beach, Gulf of Mexico and incredible sunsets are just part of Sarasota's lifestyle package. There's quite an array of activates in this south west Florida coastal city to keep you busy from "sun up" to sunset! Sarasota Florida is home to the Sarasota Ballet, the Sarasota Opera, the Florida West Coast Symphony, the John and Mable Ringling Museum of Art, Marie Selby Botanical Gardens and much more. The cultural activities of Sarasota go on and on and are a big draw to wealthy retirees and well educated retirees who enjoy the arts. In addition, Sarasota is a city that offers good healthcare and is near 3 major international airports: Sarasota, Tampa and Fort Myers. The University of South Florida's Sarasota-Manatee campus is also a plus for those wishing to expand their education in Sarasota. Sarasota real estate choices are plentiful currently with 6,000 homes for sale in Sarasota County including town houses, villas and condos. Lifestyle choice range from beach to the bay on the barrier islands of Casey Key, Bird Key, Siesta Key, Lido Key and Longboat Key to golf course communities like the Oaks and Lakewood Ranch. There are more than 80 golf courses in the Sarasota area too. Many luxury beachfront condo communities on the barrier islands offer activities within their private gates that cater to the tennis player, boater, fisherman, swimmer or shell collector. Beautiful club houses are available in some of these communities making it easy to meet and socialize with your new neighbors. Buyers of real estate in Sarasota can choose an active lifestyle, get more education and enjoy Sarasota's cultural treasures too! 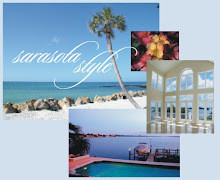 If you are dreaming of coming to Paradise, Sarasota Florida real estate is on sale. We've seen an uptick in home sales, and we encourage you to take a look while the selection of real estate, low prices and low interest rates are still available. The John Allen Team specializes in luxury Sarasota real estate and our agents are here to help you with your search. Please call us at 941-544-6467 for a prompt reply!